Thanks to the early responders to WLT’s Caucasian Leopard Appeal we are able to begin negotiations to secure land that will protect Caucasian leopard habitat. Negotiations will focus on an initial lease of land in Armenia vital for the survival of the Caucasian leopard near Lanjanist village. Money raised through the appeal, launched in September, has also funded the two camera-traps in the Caucasus wildlife refuge, where there is an urgent need to monitor all wildlife, but which specifically hope to capture images of the endangered Caucasian leopard. The camera-traps have been installed by the Foundation for the Preservation of Wildlife and Cultural Assets (FPWC), WLT’s partner in Armenia in order to build up a comprehensive picture of animal movements through the area. Ruben Khachatryan, an Armenian filmmaker and co- founder of FPWC is optimistic about the photographic evidence from the camera-traps: “We have not yet had pictures of a leopard, but there are a lot of Bezoar goats, a marten and other small mammals. 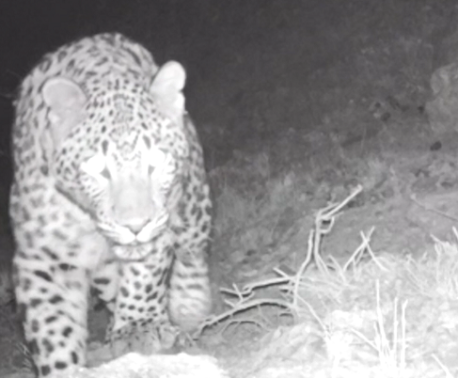 All these pictures affirm our presumption that there is enough prey for a leopard (and other big predators) in our area.” Another three camera-traps will be sent out to Armenia later this month. 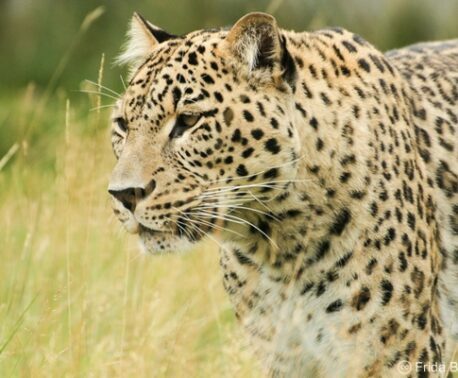 To date WLT has raised some £6,000 of its initial appeal target of £20,000 to help protect land necessary for the survival of the Caucasian leopard. The land in question is a 1,977 acre (800 ha) corridor alongside the Caucasus Wildlife Refuge. The Caucasian leopard will remain WLT’s special appeal until March next year, and we very much hope that 2012 Christmas gift donations will enable WLT to reach its target to raise these funds by the end of 2012. In the meantime, tree planting continues in the area thanks to the support of WLT funding and the rangers we support through the Keepers of the Wild programme. At a community event held at the start of November, some 280 apricot and walnut trees were planted. Apricot and walnut were chosen as they are particularly suitable for the dry climate of the region and will become an important food source for wildlife such as Brown bear and Bezoar goat once they have matured. For FPWC Program Director Barbara Siebert, the purpose of such events is twofold: both to plant trees and to unite the community in a common cause. Watch the first footage from the camera-traps donated by WLT of Bezoar goats in the Caucasus Wildlife Refuge.